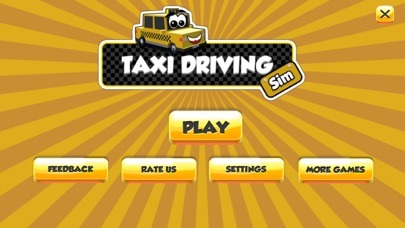 If you're crazy about taxi games then this ultimate taxi driving sim game is what you need! Now you can enjoy the legendary crazy taxi that has blended with block craft sim city the best of taxi driving simulation games. Get in your taxi, fasten your seat belts and become a city traffic racer. We can assure you that this modern taxi city driving was never such before. City Taxi driving is not that easy. This game is an ultimate blocky crazy taxi driving simulator in which our role is to pick n drop. You have to go around the block city looking for different destinations by following an arrow indicating your way. Race your car through the big city traffic, pick up passengers and drive them safely to their destinations. Driving taxi is not that easy. Life in the city is crazy, watch out for the traffic and reach in time. Get behind the wheel of the most ultimate legend taxi and take passengers where they need to go. Pick up the passengers and drop them off at the location of their choosing by using the arrow buttons provided on the screen. 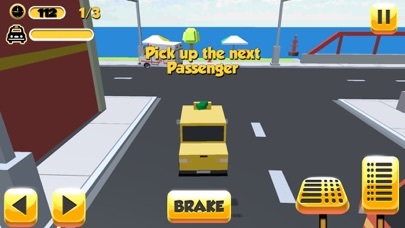 Transport passengers safely by tapping into various controls and drive settings. There are a number of passengers that you will have to park the taxi and drive safely to their destination in each level. You will have a specific time limit in driving passengers within the given time otherwise, the game will get over and be sure to don’t be hit by anything it damages your car health. 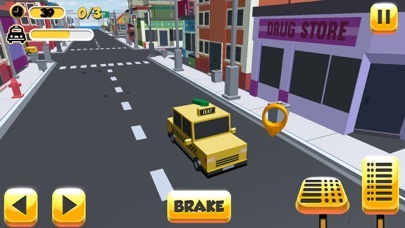 If you like block city taxi driving simulator games or crazy taxi parking games, this taxi game is right up your street. You can drive around the block city, suburbs, blocky construction sites, parks, bridges and even the beach. So pick up passengers from distant locations and take them to their destination on time in this block craft city environment. 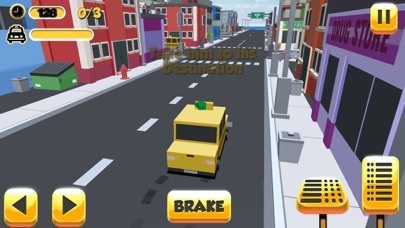 GAME FEATURES: • Block craft visual and sound • 30 Engaging driving missions • Many different routes across the block city • Intelligent Traffic systems • Smooth driving controls with breaks and acceleration paddle • Rush through block city traffic with extreme fun and challenges • Pick up and transport passengers to their destinations • Thrilling Precision Taxi Driving Experience.